A five-tonne landslide has closed a railway line in the Highlands. Rocks, trees and water has covered part of the Inverness to Kyle of Lochalsh line. Network Rail and Scotrail were alerted the landslide, near Stromeferry village, at around 11am on Thursday. 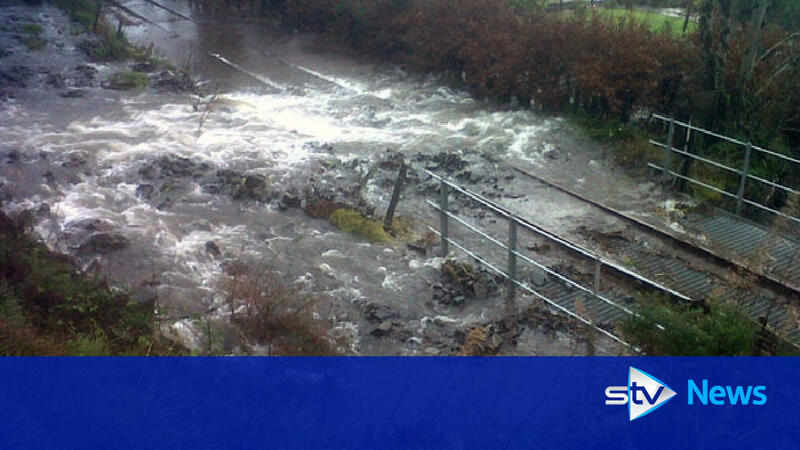 Rocks, trees and water flood onto Inverness to Kyle of Lochalsh railway line. Stromeferry looking towards Inverness. On the 29th of October 2001 a mudslide closed the Kyle line making Strathcarron the temporary terminus until the line was remade east of Stromeferry. The hillside was cleared, made stable and a new formation built. A temporary level crossing was made at the east end of Stromeferry station (shown here) and an enormous mound of spoil was built up at the closed Howard Doris sidings site. The 1203 Kyle of Lochalsh - Inverness train restarts from Stromeferry on 29 September 2009. The afternoon train from Kyle to Inverness pulls out of the once-imposing station at Stromeferry in the summer of 1983. Attached at the rear of the train is ex-GWR coach no 9004 which was used as an observation coach on the line during the summer in the early 1980s.